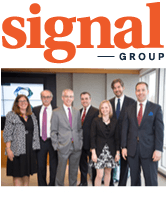 The Legal 500 US 2012 rates Wiley Rein's Insurance Practice among the nation's top groups and praises the work of practice chair Daniel J. Standish and partner Laura A. Foggan. According to sources in the directory, Mr. Standish has "superb legal knowledge" and Ms. Foggan is "at the top of her field and has one of the best analytical minds." Legal 500 US reports the Insurance Group has "outstanding industry knowledge," "unparalleled depth of knowledge" regarding directors' and officers' (D&O) coverage issues and is recognized as "one of the top firms" in Washington, DC on property and casualty matters. The publication cites recent work the group did representing CNA in a case addressing the issue of whether the client's D&O liability policy covered fees and costs from an SEC investigation. The group also represented Allied World Assurance in a number of precedent setting matters. The Legal 500 US directory aims to provide independent, unbiased commentary on the leading law firms and lawyers in the most important legal marketplaces in the world. The research for the editorial sections is based on the combined opinions of the many lawyers interviewed, commentary from corporate clients and analysis of deals or contentious issues. To view the full Legal 500 US editorial, click here.